It's before 7:00 on a Friday and I am posting! The joys of working at 5:00 in the morning. This post is really just because I'm a genius...or because I hope you too can find this idea useful. I thought I loved it more than anyone until I saw this girl's blog. She may/may not know that I always check to see if she has any new good ideas for my morning glory breakfast. Now, if you've been reading The Messie Kitchen, and I'm sure you have, you know that my roomies are out of town for another week. This means their overworked and underpaid (well... not really) daughter is buying her own groceries and therefore, using everything until it's rotten, soggy or inedible. (Not really... I'm finicky about that kind of thing). Point is, I'm trying to be frugral. I love peanut butter. You've seen my creations. Just for fun, I'll show you them again. So. Put those two together. Peanut butter and oatmeal. This is my favorite breakfast combination of all time. Crunchy, creamy, natural, or flavored. I love it. 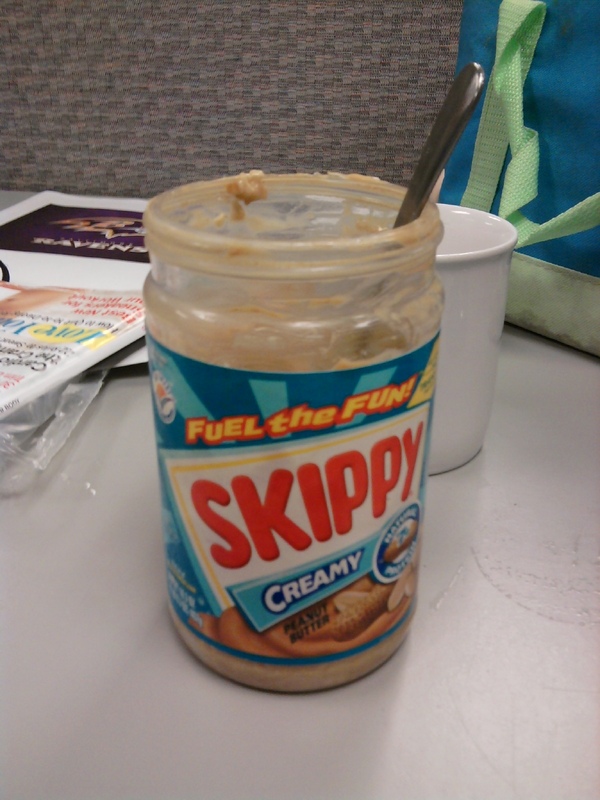 And you can imagine my Dismay as my jar of Skippy got down to the last few scoopfuls. What the heck can you do about that? Use a spoon to dig out every last bite? I mean, you could do that. But how about oatmeal in a jar? 2. Pour the uncooked oats into the jar. 3. Pour the water into the oats and stir,. The nut butter will melt as your mixture thickens. You may need to add a little more water if it stiffens up. So simple, and not a "real" post, but something you actually might use! Happy Friday!!!! Such a good idea! 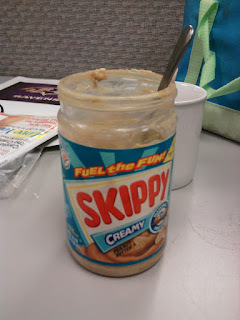 I LOVE peanut butter and can eat it by the spoonful. It's always so hard to get that last bit in the jar. Btw, your desserts look awesome. Ha! 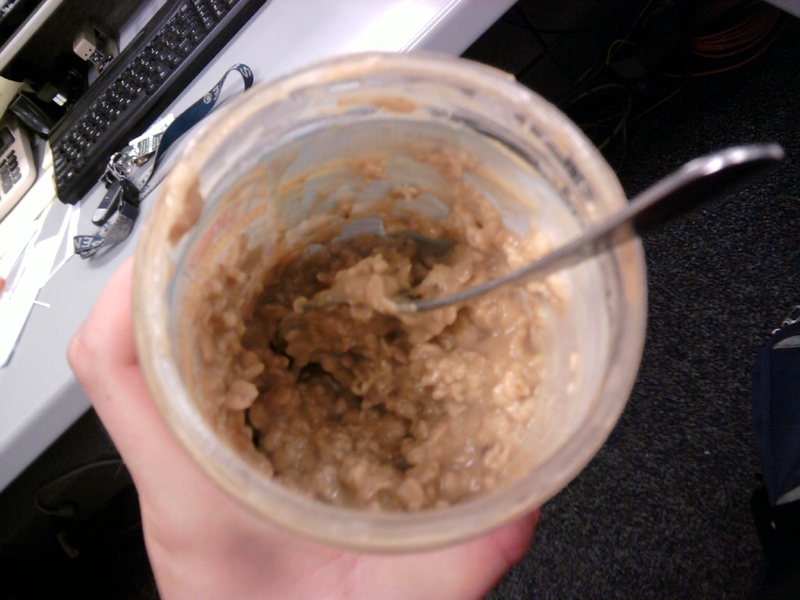 Great idea to make use of the last remnants of the pb.. I always feel guilty about throwing out the jar when I know there's still a little left.. 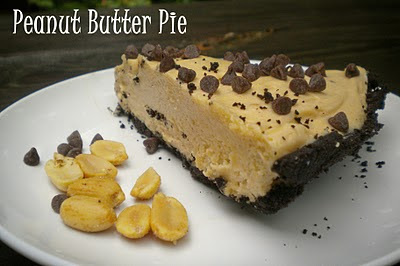 I just posted 2 peanut butter recipes I think you might love! I just made some peanut butter cookies...so I'm right there with you when it comes to peanut butter love! 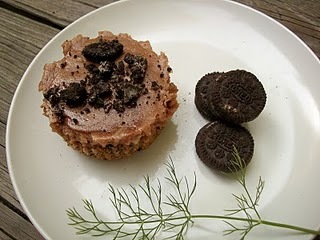 This is a great way to use up the very last bits of peanut butter. I'm constantly going through jars, so I know I'll have the opportunity to try this soon! You should check out www.katheats.com sometime. Her "Ode to Oatmeal" will blow your mind! She is also a big fan of oatmeal in a jar (OIAJ)- it revolutionized breakfast for me!